It's time for the November Release from Newton's Nook Designs. This release is packed full of everything you could need for your Holiday Crafting!!! 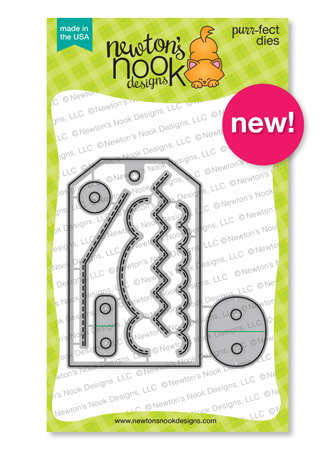 We're kicking it off with a look at 2 new stand-alone Die set and 2 new stamp sets! Up first is Frozen Fellowship.. this a super fun Snowman set... There are so many different ways to use this set. 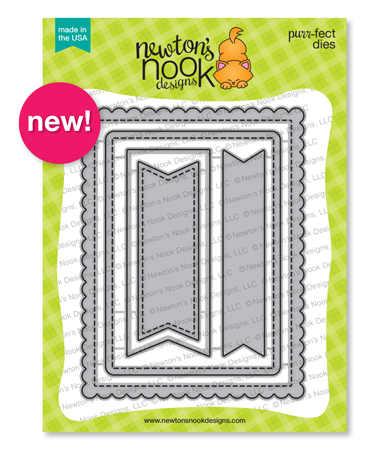 I paired it with the Fancy Edges Tag Die and the new Frames and Flags die sets. I used the spotlighting technique and colored the snowman on the tag and overlayed them over the whole image that I stamped on the Scalloped Frame. I added some Rainbow pattern paper and used colored based on the paper to color the snowman with. This image is rather large and fills almost an entire A2 size card base... Perfect for mass producing cards. Up next is Cup of Cocoa and it's coordinating die set. I love this set... There are so many cute sentiments and coffee cups. This set can be used all year for any occasion. I created a background with some Cracked Pistachio Distress ink on some Watercolor paper I die cut with the Scalloped Frame die and then I stamped each of the mugs onto some Copic friends paper and colored them in. I used the coordinating dies to cut them out. I used the Banner die in the Frames and Flags die set and created a banner for the sentiment. I used a mix of some sequins in my stash to coordinate with the colors in the mugs. There some Clear Wink of Stella on some of the mugs for a bit of Sparkle. So Cute!!!! It's only day 1 so be sure to join us all week as we reveal the rest of the release and all items will be in the shop on the 24th!! Comment on the NND blog and Design Team blogs (see list below)! The winner will be chosen at random from the collective reveal posts. Make sure to check out each of their blogs and comment for your chance to win. You will not know which blog has been chosen so the more you comment on the better your chances are of winning! You have until Wednesday November 22nd at 9pm CST to comment -- winners will be announced on the blog post on Friday, November 24th. Pretty cards and I will be getting both!! So cute and fun! Love your cards so much. Really cute cards! Beautiful spotlight technique! Love where you positioned the ribbon on the snowman's face, made me smile! Love the colours of your cocoa card! Gorgeous! Fabulous cards! I really love the spotlight coloring on the snowmen card! These snowmen are so adorable! Funny and a little weird and so cool! Mmmmm... now I want mint in my hot chocolate (LOL!!) 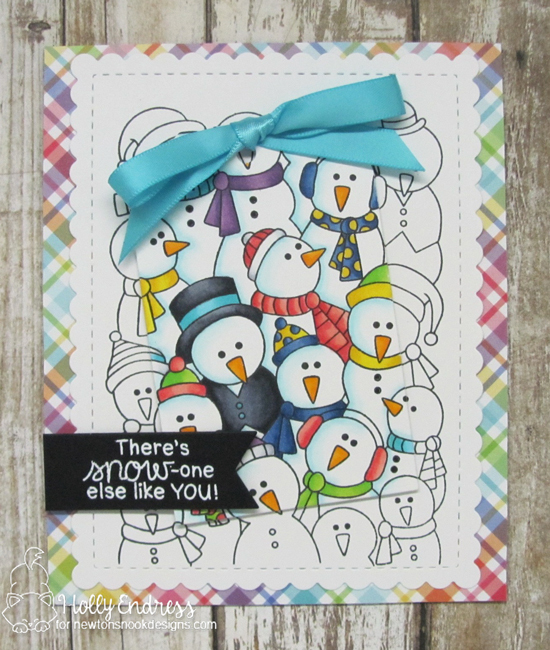 I love how colorful your snowmen collage card is! Thank you for the beautiful holiday inspiration! Great cards. I love how you colored the tag and placed it at an angle over the uncolored snowmen. Love how you partially colored in the snowmen. Love the color combo on the cocoa card! 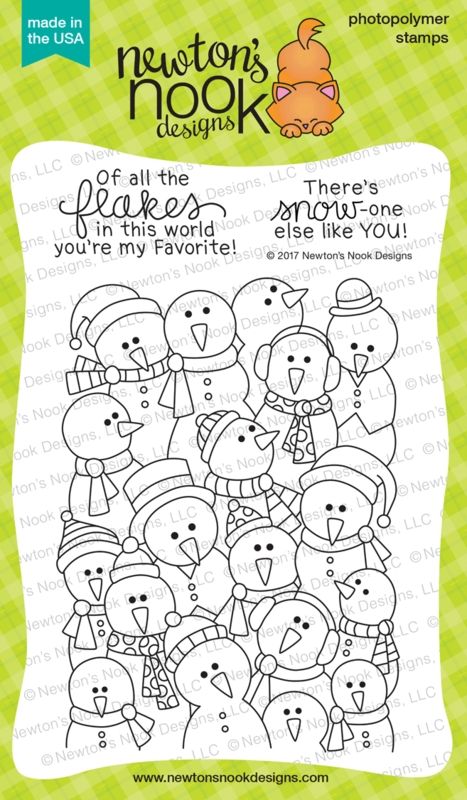 Love your cards especially the snowmen! The subtle sparkle on the cups are a wonderful detail and I love the overlayed focal area on the snowmen card. These are wonderful! I just love the mint, pink, and kraft color scheme! Oh my goodness !! You did such an amazing with these cards ! The spotlighting technique on the snowmen is so cool ! 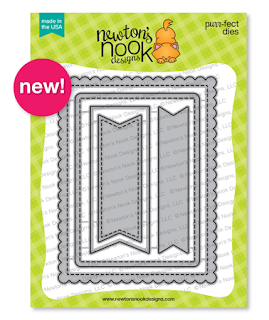 And the color combo on your second card is so sweet and yummy !! Darling cards! Love the group of snowmen, and the cute mugs! Fabulous release! Love your really awesome creation! I especially like your hot chocolate card. This is a great new release! Oh my!!! 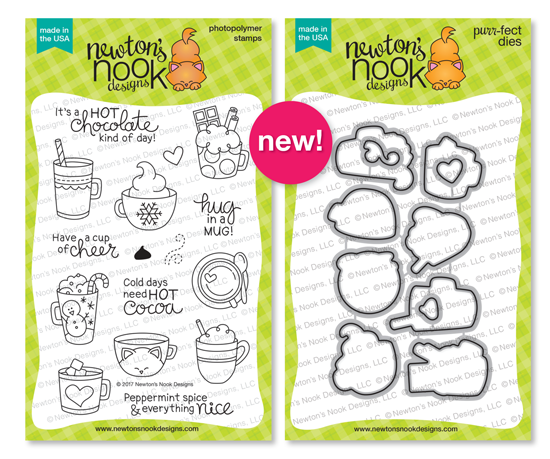 Adorable new stamp sets!!! Your cards are really sweet and so cuuuuuteeee!!! Love them!!! 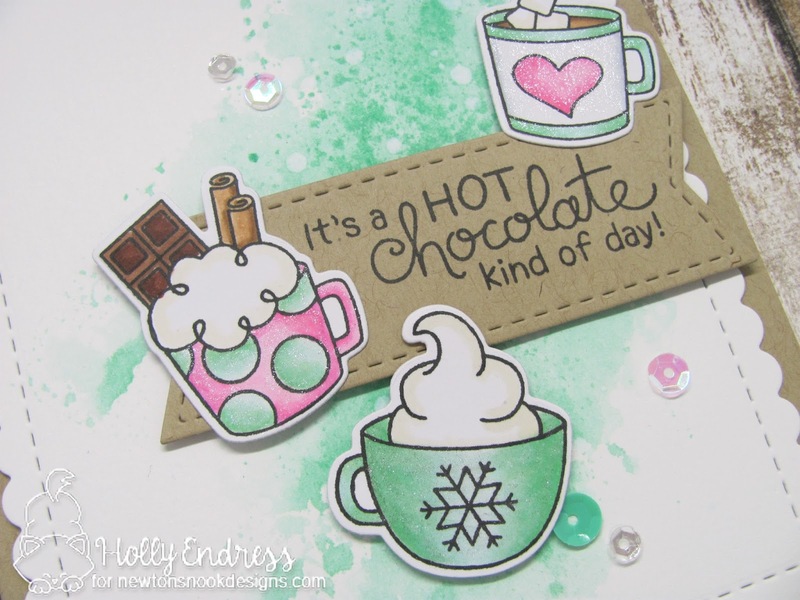 LOVE that hot chocolate card! The colors are perfect together! Beautiful cards...love the colors in second card..
Really love the mug card. The background is cool! The colours on your second card are just beautiful and I love the layering technique on the first. Thanks for sharing. Your watercolor card is really awesome! Love the colors! LOVE the way you added the colored tag on top of the black & white image! I love both cards! The mug card is really cool! Fabulous cards! 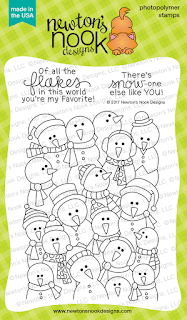 Love how you did the coloured tag layer over the uncoloured base layer of snowmen - so cute! Cute and colorful cards. I like the spotlighting on the first one. Both cards and new stamps are terrific! I just love those snowmen! Such fun cards. How cool to pop out part of the snowmen in color like that!! These are so adorable. I love your cup of cocoa card. The background with the Distress Ink is STUNNING!!! These are two great cards. Love the color combo on the cocoa card. Great cards! I, too, love the sentients on the hot cocoa set. To cute! 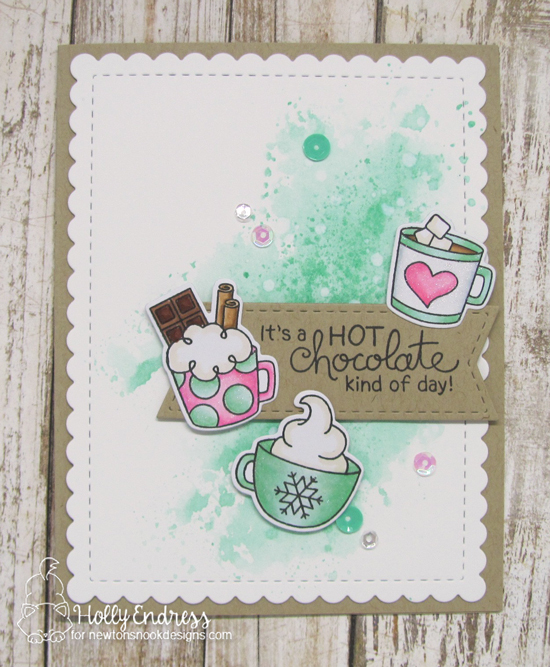 Good choice of minty pastels for the cocoa card. Lovely spotlight coloring on the snowmen! And your color palette for the cocoa card is so yummy!! Love the new release! Your work is beautiful!!! Wonderful cards! I love that snowman image, and it looks great with the spotlight technique. TFS.